Giraffe Manor, part of The Safari Collection in Nairobi, Kenya, is a boutique hotel situated on 12 acres of verdant private land inside a 140-acre forest. 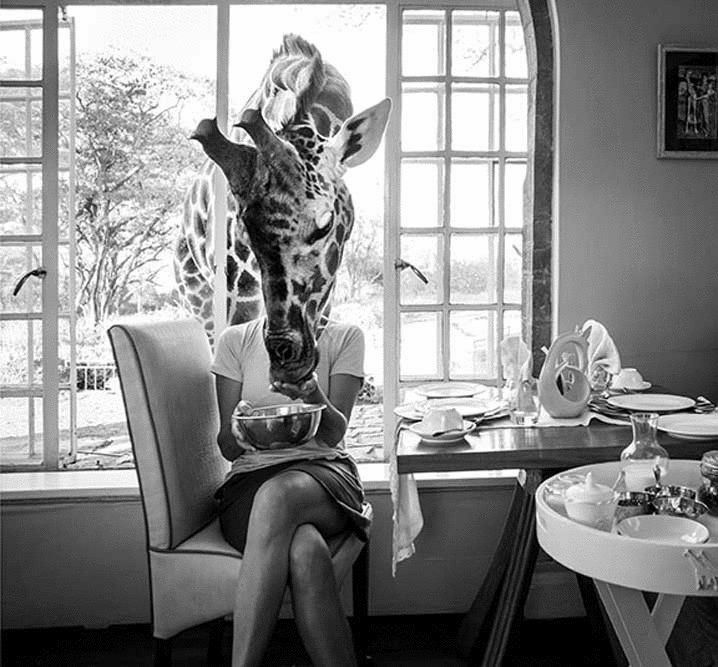 Rothschild giraffes roam freely across the property and it's not unusual to find one poking its head inside a room through the window in search of a treat. The giraffes join you for breakfast, and you can feed them straight from your table, or take a guided walk across the beautiful sanctuary and admire the elegant creatures from afar. Have you booked your stay yet? 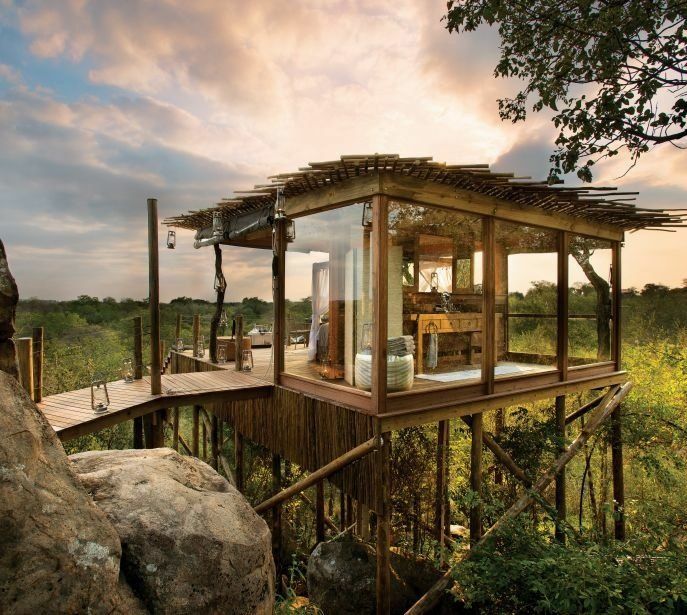 They don't mess around at Lion Sands Game Reserve in South Africa's Kruger National Park; their tree houses are the embodiment of a bucket list experience. The wall-less "rooms" contain cushy chairs, a four-poster bed sporting gauzy mosquito netting, and an elegantly set table all atop polished wooden floorboards. The breathtaking view of the savannah from your little piece of paradise will keep you transfixed for hours as you slowly drink in the splendor of Mother Nature. Concerned about facilities? Don't worry – there is a shower and a bathroom en suite. After a night sleeping out under the stars you can choose from an adventurous safari or bliss out at their five-star spa. If you're a glamping fan, you'll dig this unbelievable reserve. It's not balmy, but what it lacks in core temperature it makes up for in "cool" factor. The Sala Silvermine has a suite almost 500 feet underground in an old silver mine. If you're keen on "getting away from it all," look no further: no phone or internet service will interrupt the hushed reverie of being so far beneath the earth. While the mine itself remains in the 30-degree range year-round, your hotel room will be heated to a bearable 65 degrees and there are plenty of thick blankets heaped on your bed. There's a toilet accessible from the room so you don't have to travel up to ground level for a bathroom break in the middle of the night, but you'll have to shower upstairs before retiring for the evening. Test your mettle and stay overnight in the ICEHOTEL of Sweden where you'll sleep under reindeer hides in a thermal sleeping bag, albeit in negative 40-degree temps. Each suite is a shimmering work of art, painstakingly carved by a hand-chosen artist and filled with unique ice sculptures illuminated by tastefully placed lighting. If you're keen to spend a frosty night snuggled in your cozy sleeping bag but aren't thrilled with the idea of literally chilling out in such harsh cold before bed, the Johka suite offers a heated relaxation room adjacent to your quarters. The hotel also offers "warm" quarters for those excited to see - but not sleep in – the arctic hotel. 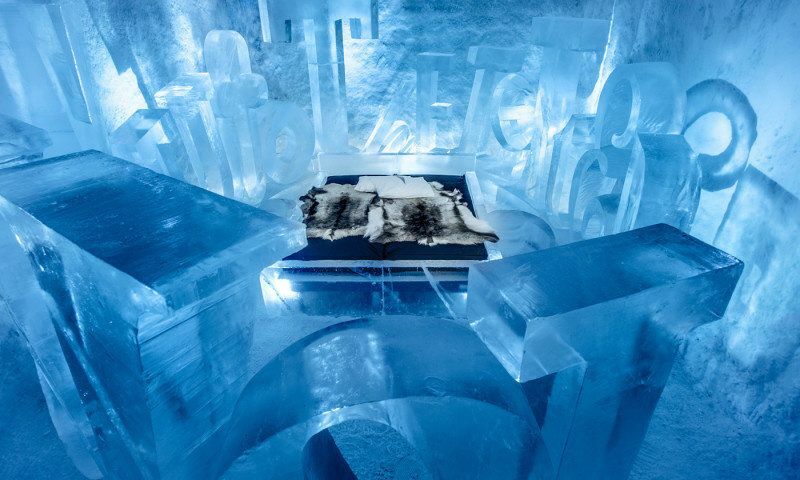 Pop by the ICEBAR for a cold drink served atop ice from the local Torne River or warm up in one of their many saunas. 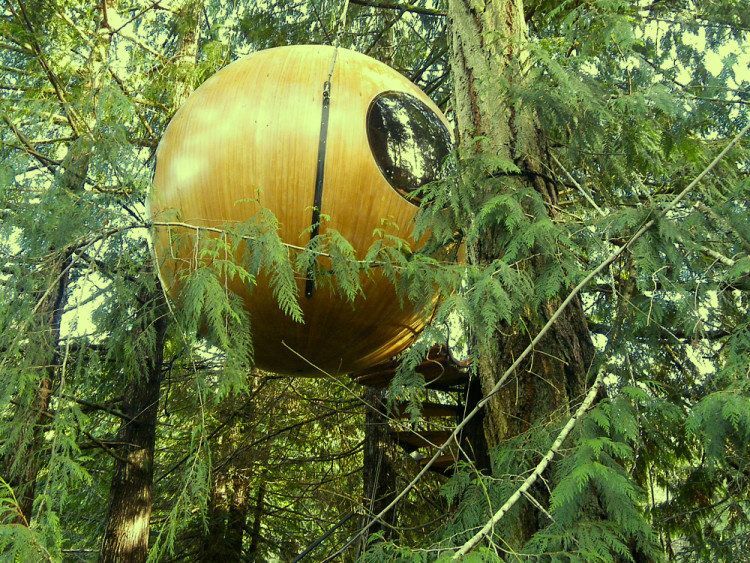 You'll sleep like a baby in one of Free Spirit's spherical tree houses. Set deep in the coastal rainforest of Vancouver Island in Canada, these eco-friendly orbs afford you a view normally only enjoyed by birds. Choose from Eryn, Luna, or Melody, each with its own special theme. The tree houses are all heated and contain sleeping accommodations, a fridge, and a small table, as well as speakers for guests who enjoy being surrounded by music. There's nothing quite as beautiful as relaxing in a tranquil forest canopy with nothing but your own thoughts. 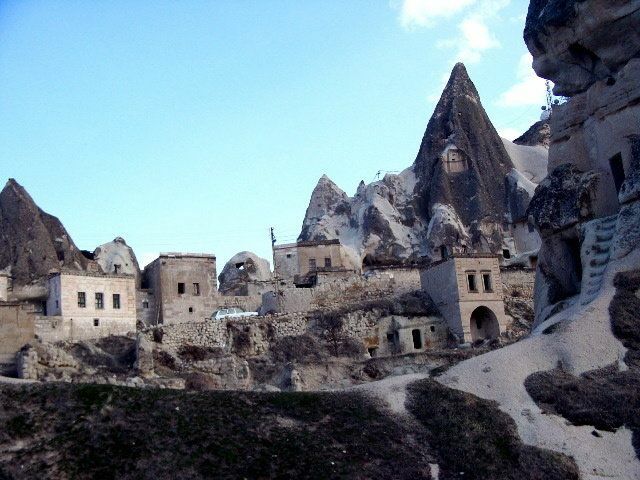 Cappadocia, Turkey, is best known for its so-called "fairy chimneys," formed after thousands of years of water and wind eroded ash that had solidified into rock after a particularly harsh volcanic eruption in the area. These natural structures can rise over 100 feet into the sky, and their nickname was coined as a nod to their spindly stature. Along with the area's natural splendor, human-made wonders abound: Cappadocia is also home to an intricate network of man-made caves underground and dug into the rock formations. 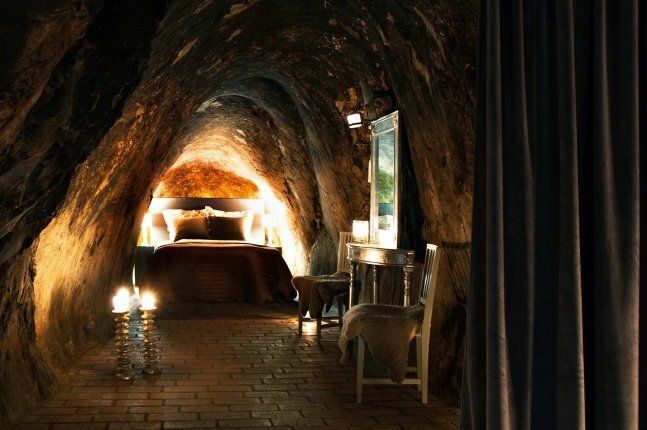 Private owners occupy many of the caves, but the Fairy Chimney Inn is your opportunity to experience a night inside one of these ancient residences. Originally created as a hidden Byzantine cave monastery, this 1500-year-old structure now features kilim rugs and local art on the craggy walls of the guest rooms. You'll love settling into this rugged yet charming hotel after a long day of hot air ballooning or exploring the natural beauty just outside your doorstep. 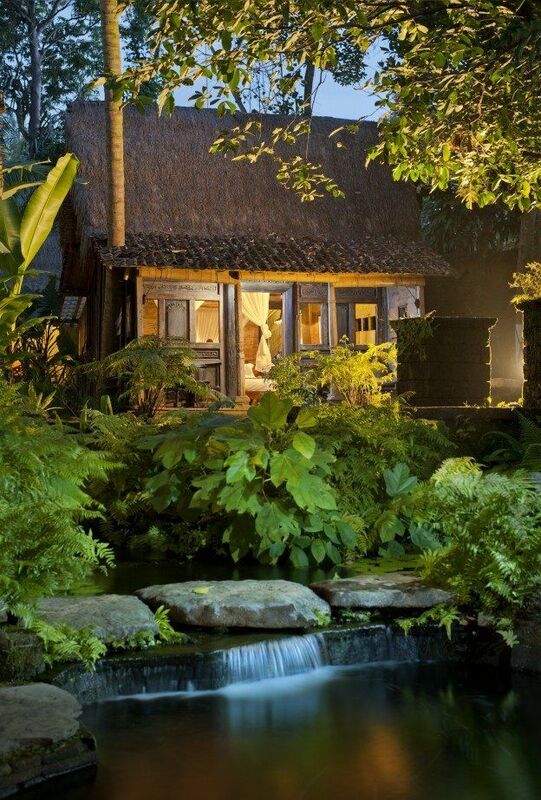 The Udang House in the Bambu Indah boutique hotel is a luxurious suite decorated in traditional Balinese style: intricate hand-carved furniture, rough-hewn walls leading up to high ceilings with exposed beams, and of course, a four-poster bed with sheer mosquito netting. What sets this restful space apart are glass floors revealing a babbling brook flowing underneath the structure. The stream feeds the sustainable and eco-friendly swimming pool available for use nearby. Take a dip and enjoy the chlorine-free water under an azure Indonesian sky. 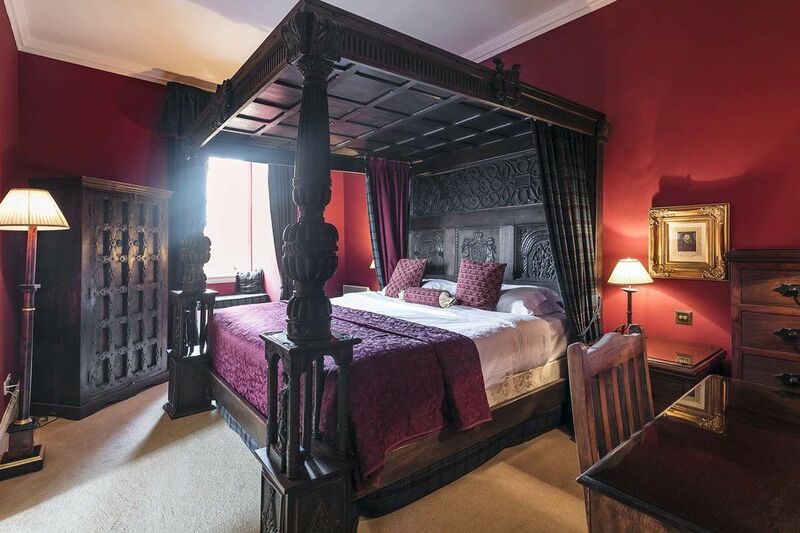 You may not have the opportunity to marry into royalty, but you can still live like a king or queen for a night at the Dalhousie Castle Hotel. This 700-year-old masterwork was once prime lodging for the Scottish Ramsey Clan's royal guests. (Famed visitors include Queen Victoria and King Edward I.) Each lux room is decorated with period furniture and Scottish fabrics and the hotel spared no expense when it came to bed and bedding quality. Rest assured that if royalty were to stay there today, they'd have nothing but praise for their experience. Happily, you don't have to have a prestigious bloodline to stay here, just a pretty hefty bank account. If you've got a bad case of wanderlust, make sure you add these fantastical accommodations to your bucket list. What's the point of traveling somewhere new if it's not going to blow your mind?